Last edited by Chris Knipp; 02-23-2019 at 01:19 PM. Two Berlin university students meet on the road and travel southward in a classic Mercedes "303" van, engaged in passionate debates. Romance eventually ensues, but Weingartner is in no hurry because the socio-political-biological issues are paramount to him. Luckily the two actors, Anton Stiekner and Mala Ende, who resemble a young Kate Winslet and Heath Ledger, are sensational together, and the slow-burn relationship feels so unrehearsed and real and the off-road scenery is so attractive the 2 1/2 hours slip by like a breeze. The documentary shows how after a successful diplomatic career including ten years as Secretary General of the United Nations, Kurt Waldheim's complicity with Nazi atrocities as a young lieutenant of German intelligence was finally exposed when he ran for president of Austria, but the Austrians identified with his history and elected him by 53%. The filmmaker was active in filming demonstrations in 1986 when this took place. Not very exciting fimmaking to put it mildly, but a subject of importance. 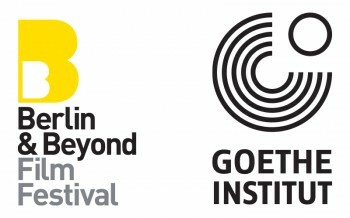 I've republished my review of this Berlin & Beyond film from last year. It's an engaging, unusual gay long distance love story between an Israeli man and a German pastry cook. Last edited by Chris Knipp; 02-23-2019 at 12:31 PM. Drama, drama, drama in this handsomely cast recreation of iconic actress Romy Schneider's long last interview before her untimely death. Komel's glamorous twenty-seven-year-old cousin Christian Wurtenberg, ostensibly a war journalist died in mysterious circumstances when she was only ten. She explores the facts of this event that always haunted her, and in the process examines the tangled context of the Balkans wars and delves into what leads adventurous young men to put themselves in harms way, especially in wartime. This is a brilliant amalgam of archival footage, documentary, and Kofmel's own beautiful and evocative animations. Dresen and his screenwriter Laily Stieler team with the great German actor Alexander Scheer and an excellent cast to look back at the life of Gerhard Gundermann, the soulful East German singer-songwriter of the 1980's and 1990's, whose smart, bittersweet and political songs were offset by his contradictory life and his intractable nature, which forces him in the early 1990's to confront his former Stasi collaboration. 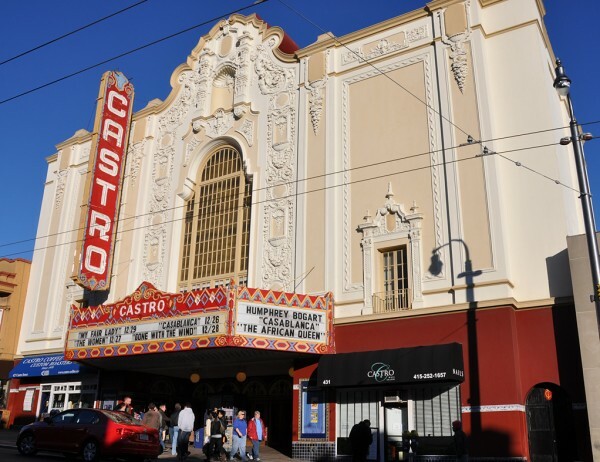 This festival, showing at San Francisco's historic Castro cinema palace and the Geothe Institute, with some showings in Berkeley, is an excellent cure for winter movie doldrums and I was really impressed with the high quality and relevance of the films I have reviewed. Every one of these six films I've reviewed in Filmleaf's Festival Coverage section is well worth your time. 303 is an adorable young romance + road trip, a very enjoyable movie, and your two hours will zip by. It may remind you of Richard Linklater's "Before" series, but it goes further; the two actors could be stand-ins for the young Kate Winslet and Heath Ledger, and their chemistry is palpable. The Waldheim Waltz is a conventional doc, but the subject, hiding complicity in Nazi crimes, as illustrated by the notorious case of UN Secretary General and then President of Austria Kurt Waldheim, is a perennially important one. Catch The Cakemaker if you missed it earlier, a sensuous gay romance and tour of the pastry kitchen. 3 Days in Quiberon is an elegant black and white film in very wide aspect ratio about a last interview given by the iconic Austrian, later French, movie star Romy Schneider, played wonderfully by Marie Bäumer. Chris the Swiss is an exploration of the filmmaker Anja Kofmel's lost cousin, a dashing young man who died at twenty-seven in the Balkan wars in 1992, when she was only ten, that uses animation with documentary and archival footage in a skillful and imaginatively stimulating mix. Finally, Gundermann recreates the life of a contradictory, soulful singer-songwriter of East Germany who did not sail through the end of communism untarnished, since an earlier link with the Stasi emerged. How he confronts his own mistakes makes the pivotal aspect of this song-filled movie. Last edited by Chris Knipp; 02-23-2019 at 01:15 PM.